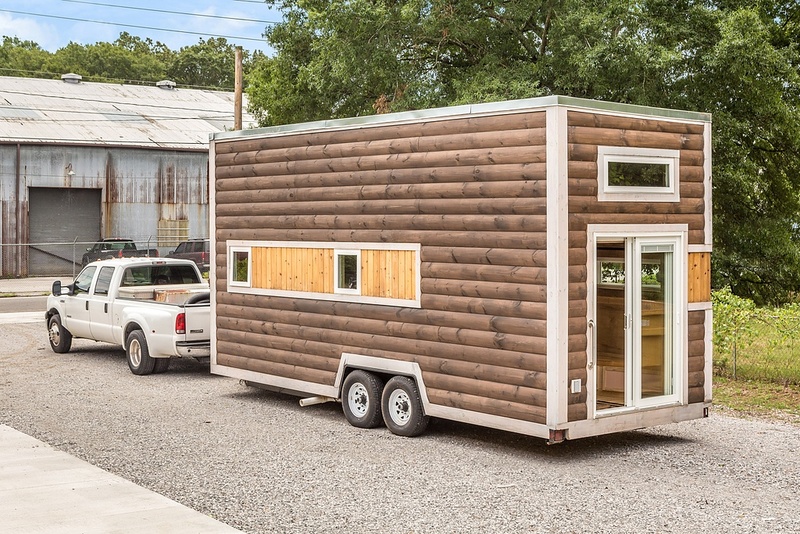 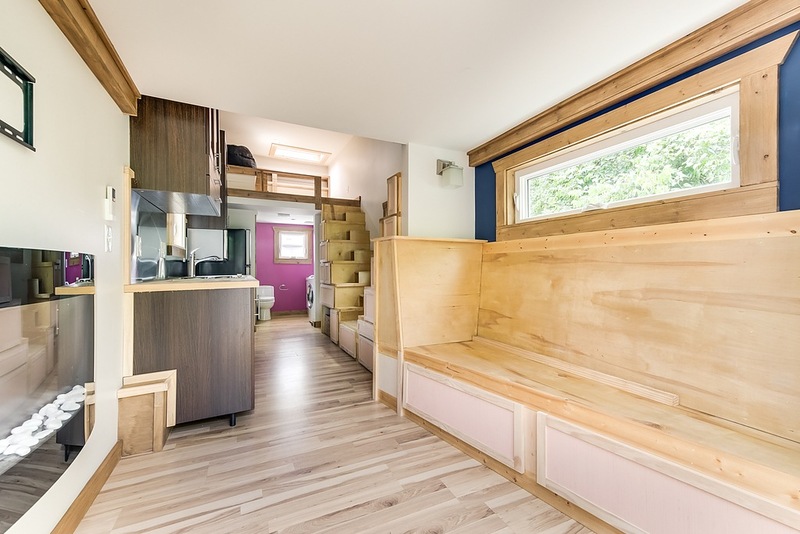 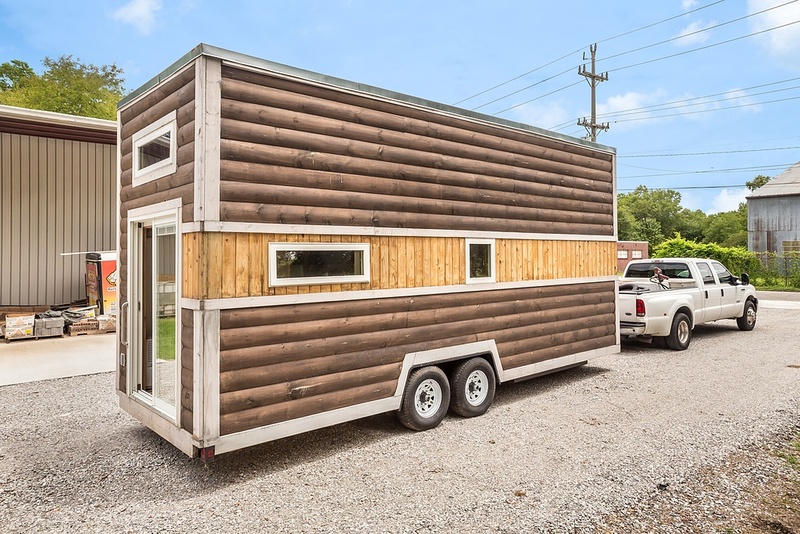 A beautiful tiny house on wheels, currently available for sale in Chattanooga, Tennessee. 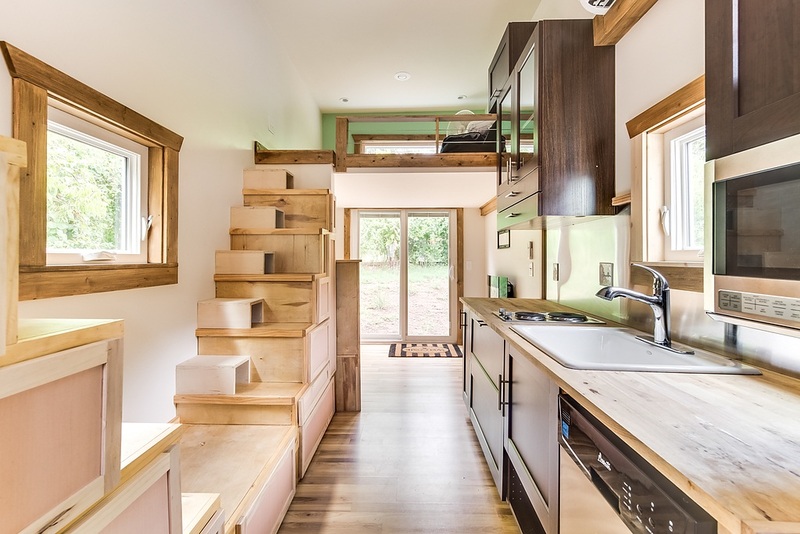 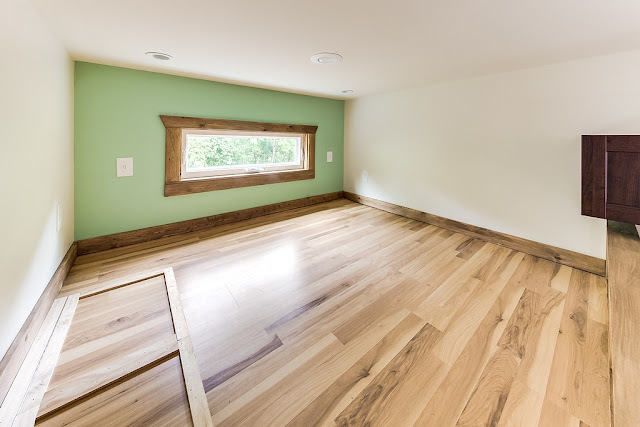 The home measures 312 sq ft and was built by an RVIA-certified builder. 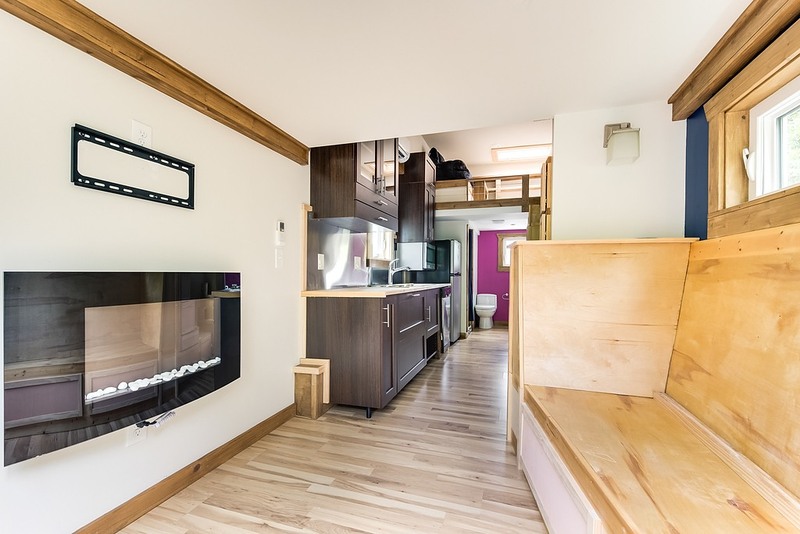 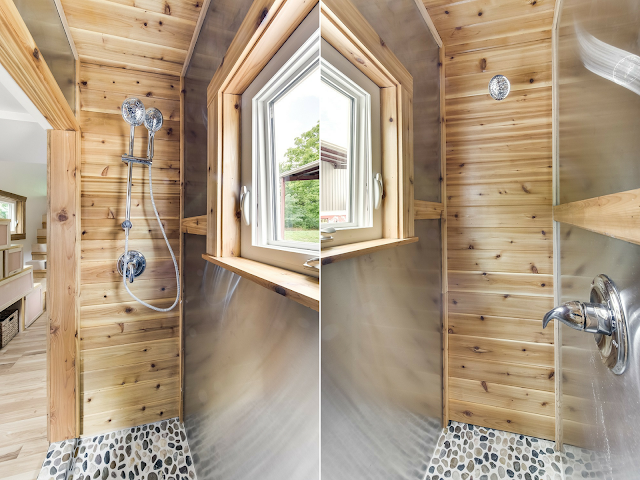 The home is perfectly mobile, comes with 360 degree closed-cell spray foam, and its plumbing and electrical design is perfectly suited for either a permanent or RV-style connection. 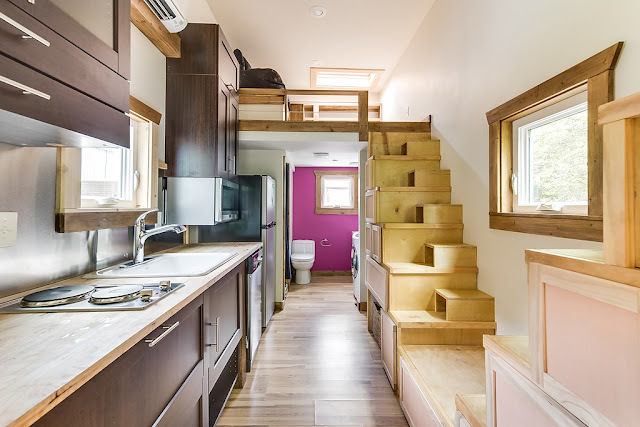 Its layout includes a full kitchen, living room space, a bathroom, and a loft bedroom. 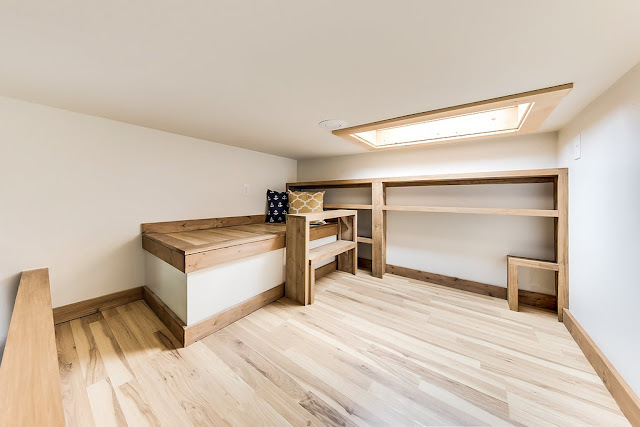 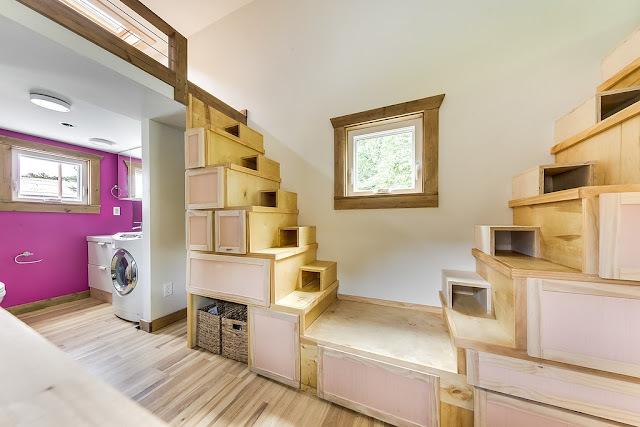 There’s also plenty of storage with extra shelving built into the stairs, in-floor storage, a second loft for storage, and ample cabinet space in the kitchen. 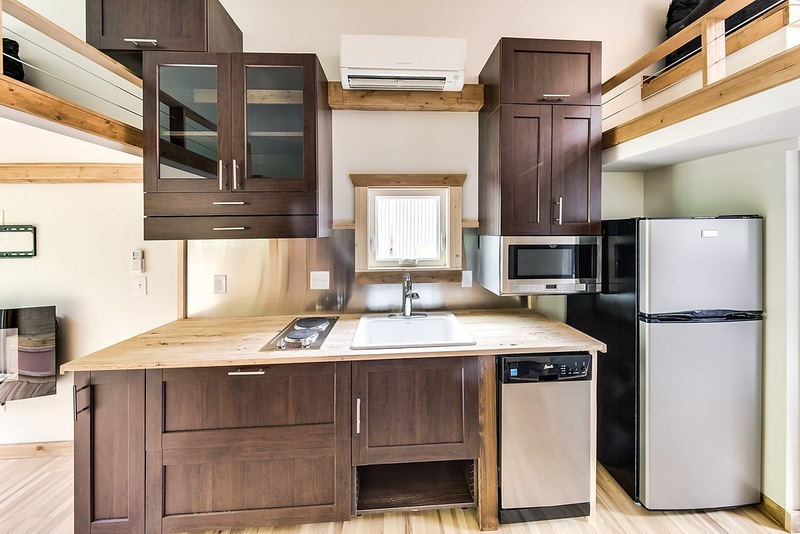 The kitchen comes outfitted with a stainless steel sink, a dishwasher, a two-burner cooktop, and a microwave. There’s also a rooftop deck! 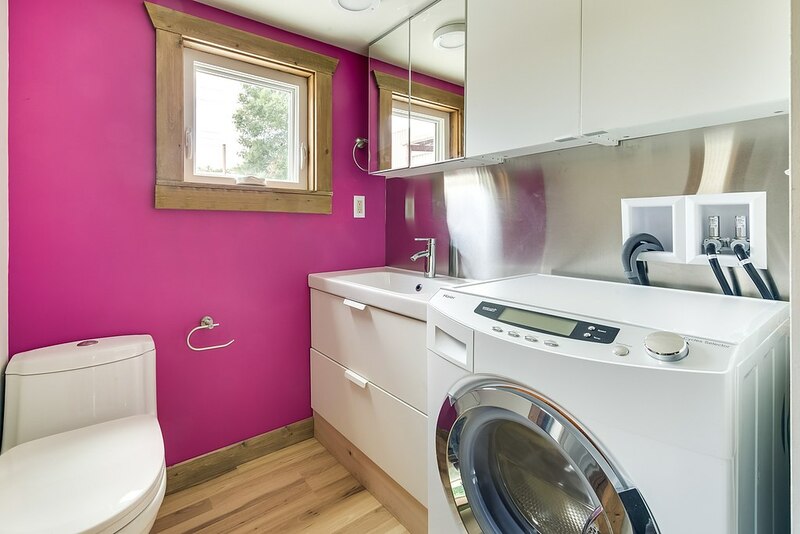 The home is currently available for sale at $59,900.